Tony Martyn has been appointed as Engineering Director of Wrightbus. In his new role, Tony is to lead the Wrightbus Engineering team in Ballymena, reporting to Group Engineering Director, Brian Maybin. A key objective is to keep the Wrightbus product offering at the forefront of technological advancement, offering the customer continually enhanced passenger experience and value for money. 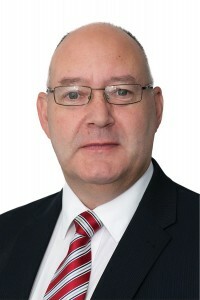 He has direct, recent experience of the bus and coach industry, having worked for Alexander Dennis for the last two and a half years as Group Head of New Product Development. He also has over 20 years of specialist CV chassis and body design and manufacturing experience, gained in both the on and off highway sectors, covering low to medium volume, high mix customer focused products.